These wild quail hunts take place October through February. Each year, prior to hunting season, all of the hunting locations are pre-scouted. This determines quail populations, and where the birds are hanging. 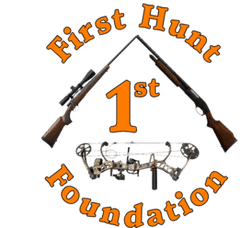 Hunting may take place across the entire state of Arizona depending on populations of wild birds and the particular species that you want to hunt. In most cases it is necessary to concentrate on a single species each day. Generally speaking, Arizona hunting is for Gambel’s Quail, Scaled, & Mearns Quail. Let us know which species you want to target before your hunt. Wild Arizona quail hunting becomes more limited each season, but can still be incredible. We suggest going with a good outfitter for a great experience. All guides will have at least four dogs each. It is fun to watch the dogs range wide in the open expanse of Scaled Quail territory, and then come in closer when hunting the sparser cover that the tight-holding Mearns Quail live in. Quail hunting behind a good pointer is a pleasure, and this outfitter runs some great dogs. You will enjoy their well-trained Brittany’s, Pointers, and English Setters. This Arizona upland bird hunting outfitter not only has a kennel full of fine pointing dogs, and he also has access to some amazing private property to hunt for Mearns quail, Gambel’s and Scaled quail. Our main goal is giving quail hunters real value by locating quality places with ample amounts of pre-scouted upland birds. This Arizona upland bird hunting outfitter has a kennel full of fine pointing dogs. Access to some amazing private property to hunt for Mearns quail, Gambel’s quail and Scaled quail. The outfitter will provide a room and meals during the trip. Breakfast, a tailgate lunch with your guide and dinner each night at the best restaurant in town is also included. Each guide will take no more than two hunters quail hunting (in most cases). You will change guides daily so that you will have the pleasure of hunting with each guide and his dogs. Walking over your three days in pursuit of wild birds will be extensive, but it is normally on gently rolling hills with a few steep areas, and for the most part is not difficult. Most bird hunters fly to Tucson, Arizona then rent a car and drive to Willcox where you will be met by your guide.